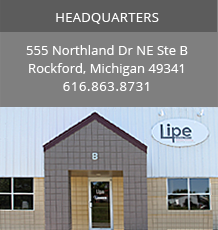 Welcome to Lipe Industrial Services, one of the most respected providers of resinous floorings and commercial and industrial coatings nationwide. We crave perfection, and it's reflected in every job we perform, no matter how big or small the project. 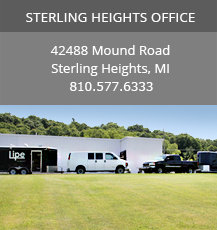 Since our inception in 1983, Lipe has developed a reputation for excellence, whether it's coating a new floor, leading the way on a remodel, or using our wide array of products and services to polish concrete surfaces. We tackle not only residential jobs, but large commercial accounts -- and we're equipped to handle complex and sophisticated challenges. Many of our satisfied clients are billion-dollar businesses. And they trust us to create a positive first impression for their employees, consumers, colleagues, vendors. Lipe is a complete turnkey operation. We do all the prep and attend to every ancillary need associated with the job we've been hired to do, including but not limited to concrete cutting, trench drain issues, ventilation concerns and complete clean-up. A consultation will answer your every concern. Simply call or click, and we'll take it from there. Lipe. Where quality isn't a word. It's a way.